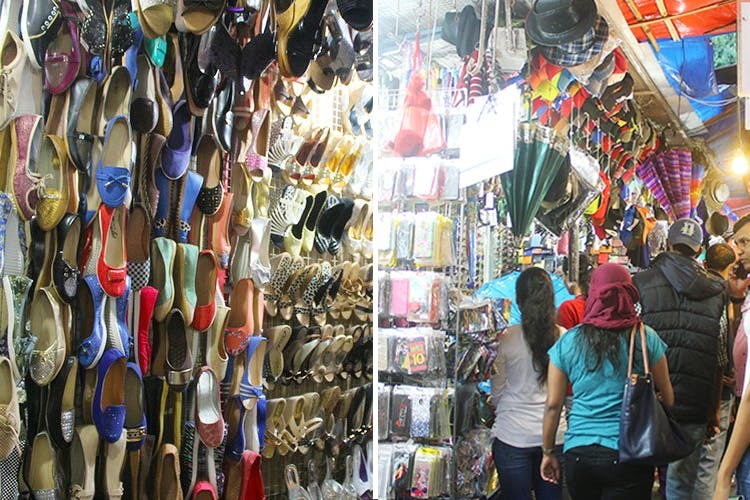 Hong Kong Lane is a narrow lane in Deccan offering an assortment of everything nice and cheap. From leather belts, junk jewellery, ripped jeans to Nike shoes, the list is endless. There are tons of imported goodies from our neighbouring countries? Hong Kong Lake is a one-stop shopping destination for men and women. Personally, we loved the belts. They are bright and funky and come for INR 50! If you’re hunting for running shoes, look out for brands like Nike and Adidas. Can’t vouch for the originality, but they are priced between INR 250 and INR 400, and will last you a couple of years. The ripped jeans and shorts at Hong Kong Lane are worth every penny your spend on them. The best thing about the collection is, that they’re designs that are absolutely in vogue! They don’t overdo the patterns or cuts. They keep it simple, they keep it casual. These are a steal at INR 100 a pair! The mobile covers (starting from INR 100) are one of the biggest hits at Hong Kong Lane. From a simple transparent cover to a dark Joker-Quinn piece, the collection caters to every customer taste. You’re sorted if you have a Mi, Apple, Lenovo or a Samsung phone. For others, do hunt till you find that perfect cover for your phone! Ladies, do check out the junk jewellery collection. You wouldn’t want to step into a mall ever again.